To kickoff the weekend, Drake gave an intimate performance for only 450 Card Members on the Platinum House stage. The stage featured a catwalk that got Card Members within selfie distance of Drake. It included an LED tile wall for an artistic collaboration and room for a DJ set by Virgil Abloh. The second story of the double decker structure was an exclusive VIP viewing area and bar, treating those guests to a birds eye view of the "Champagne Papi. "The transparent dichroic prism design lit up the beach, along with giant LED drones featuring Drake lyrics above the stage. The next morning, what once was an epic Drake stage just hours before, was transformed into a Well+Good fitness studio for Card Members to enjoy. Plywood decking was used to help create an elevated yoga experience six inches off the sand, providing guests a covetable beach experience. 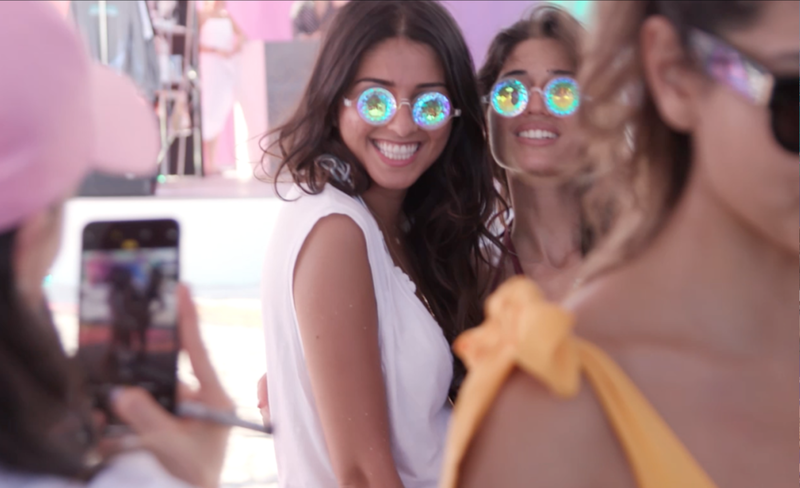 The versatile space then shape shifted into a shaded oasis for perspective-changing aura portraits by Radiant Human, and beauty makeovers from Milk Makeup, Ouai Hair, and Paintbox Nails. 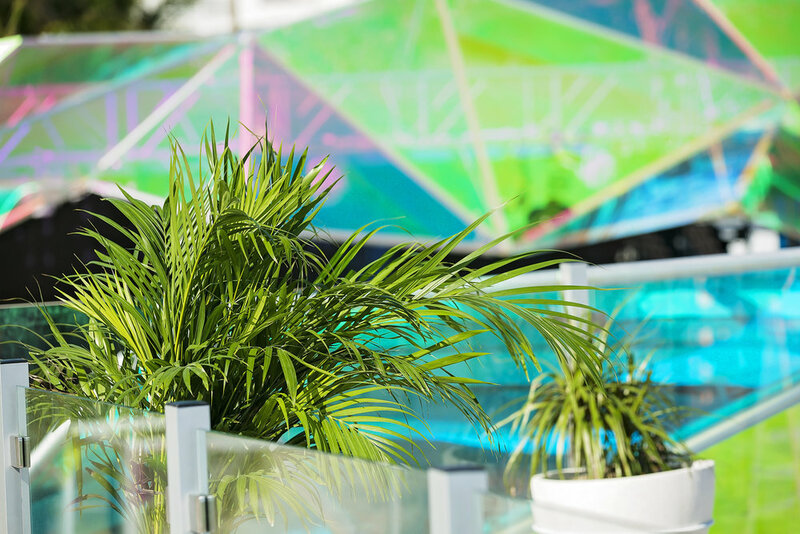 The stage became a place for lounging, a retail space offering the exclusive Knowlita Miami collection, and DJ sets by Hannah Bronfman. Against the backdrop of the Atlantic Ocean, two-seater swings and Platinum letters in the sand, made for beautiful photos as the fractals changed color in the afternoon sun. Well+Good fitness studio provided Platinum Card Members with barre flow, kickboxing, and dance cardio classes surrounded by the sand, the sun and a few influencers like Olivia Culpo and Michael B. Jordan. When Platinum House was hit with sunlight, technicolor prisms formed, magnifying the beauty of the beach, changing perspectives by the hour, and bringing a whimsical sheen to the surroundings -- making art out of nature. The color palette derived from the environment’s natural elements including sand, sea, sky, and the prisms sunlight created. The structure’s dynamic fractals not only emitted vivid color baths on the sand, but could also withstand 80 mph winds. Every angle of the space naturally became an organic photo moment, a dream for our diverse crew of influencers and cultured Platinum millennials.